Looking over the music I listened to in 2014, it's clear that I didn't do a very good job keeping up with the latest releases of even just my preferred narrow subgenre of underground hip hop. Thus, reviewing the albums of 2014 for me is as much about what I did listen to as what I didn't and still need to seek out. Firstly, I already wrote a more in-depth piece about the two albums that were my favorites from the first half of 2014, The Living Daylights and Life Outside the Frame, so be sure to go give that a read. Musically it was a great year as most of my favorite artists released long-awaited new material, including Bronze Nazareth, Madlib, Cormega, and the Wu-Tang Clan. In fact, looking back on it I spent most of the year listening almost exclusively to these new projects (while dabbling in their past catalogues plus exploring the old blind sage composer Moondog). Was pining for this for a while. The vinyl dropped last January but those of us without phonographs had to wait until July for the mp3/CD version. 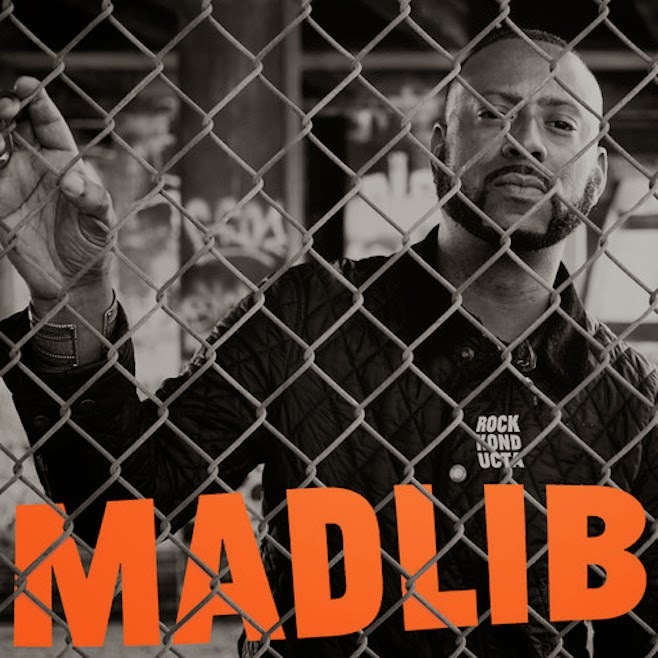 Madlib, the legendary producer/sonic-trip-extraordinaire, added onto his mammoth catalogue with this newest edition of the "Beat Konducta" instrumental series, featuring a potpourri of obscure samples from the farthest reaches of 60s-70s psychedelic rock, prog rock, Zamrock, Krautrock, and every other eclectic rock, twisted, tweaked and chopped up into hip hop beats. Totaling more than 80 minutes over 50 tracks, most of them less than 2 minutes long, Rock Konducta is an enclosed universe in and of itself. There's an endless array of miscellaneous snippets, cacophonous blurts of speech, screams, Bill Murray disc jockey riffs, jangling-metal hi-hats, crunching drum lines, badass loops, synth-heavy snoozers, odd offputting tirades, the most random yelps you've ever heard (this tape has a recurrent motif featuring what sounds like a mentally disabled woman bleating "Gimme a dollar! "), ringing alarm clocks or phones, stand-up routines, and every other sonic microcomponent Madlib could cobble together to line this collage of treasures from his rock vinyl collection. There's certainly plenty of skippable material here, but you can easily distill this vast assemblage into a playlist of 30 tracks that are excellent (which is exactly what I did). Or you can listen to the full thing and drift away into the far reaches of Madlib's weird mind. Favorite tracks: First of all, where the hell does he come up with all these track names? There are 52 tracks in all, none of which have a generic name. Among my favorites are the thumping, mildly melancholy "Motorik Matching", the rugged pysch rock jam "Black Widow", the woodwind orchestral head-bopper "Giant Okra", and the drum-heavy up-tempo controlled chaos known as "Soap Guillotine" on Part 1; deep into the more lackluster Part 2 is my favorite loop on the whole project "Dies Irae" (it's become one of my favorite Madlib beats ever), the rest of Part 2 is unspectacular aside from the rugged fiddle symphony "Teapot", the penultimate percussion showcase "Soon Over" and, of course, the beat tape's closing 30 seconds into which Madlib enigmatically inserts one of the finest, most grave-sounding beats. You'll first need to sit through a 90-second satirical skit of a botched plane hijacking because it's only after that, and a transitional distorted sample singing "though I call from far awayyyy/ you don't listen...," when the Beat Konducta decides to flip on the serious switch. After working together on a few phenomenal tracks over the years this duo of NYC rap legends finally decided to collaborate for an entire album. 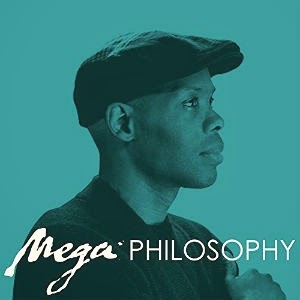 Running a tight 32 minutes over 11 tracks, with features from rap luminaries like AZ, Redman, and Raekwon, Mega Philosophy is thickly painted with the purest form of hip hop as the righteous poet Mega pours wisdom and social commentary over Large Pro's crisp Golden Era-flavored beats. It's surely one of the best rap albums of the year, possibly a modern day classic, and could be Cormega's best album. The very definition of "underground" during New York hip hop's heights in the 90s, the Queensbridge artist known as Cormega was more myth than musician for a while. Growing up alongside the likes of rap legends Mobb Deep, Nas, and Tragedy Khadafi in Queensbridge he built a reputation as the neighborhood's most untouchable rapper*, was incarcerated during the early 90s and received a prominent shoutout by Nas on Illmatic ("What up with Cormega, did you see him?/ Are y'all together? "), became a Rikers Island welterweight boxing king, upon release was immediately signed to be in the original Firm with Nas, AZ, and Foxy Brown, ended up having a falling out with Nas and recorded a harsh diss track against him before such things were trendy. I first caught wind of the smooth-flowing, high-voiced yet ferocious street poet Cormega some time in the late 90s on a Def Jam promotional CD where his track "The Testament" appeared and I became a fan immediately. His heavily anticipated debut album lingered unreleased for years as Def Jam inexplicably left him on the shelf. The occasional jaw-dropping guest appearance on Mobb Deep tracks and an obscure gem-filled "Best of" mixtape (which I still have in cassette form) were all fans had to whet their appetites for a while. Otherwise, Cormega was a vague rumor. Despite his obscurity, Mega became my favorite artist around this time. The fascinating backstory with childhood-friend-turned-rival Nas, the underdog intrigue of his album conflicts with Def Jam, and above all the consistently alluring flow, fearless bravado, and flat-out skill so apparent on every verse were what made Mega more interesting than just about everybody else to me. Over the years I kind of feel as though I've grown with him. Looking back on my Cormega fanhood is like a time capsule. I closely followed his latest news back when we all accessed the internet via AOL, feverishly sought out obscure Cormega tracks on Napster, used my first ever CD burner to make customized Cormega albums, bought two copies at the Staten Island Mall when his first official album The Realness was finally released a week after my 16th birthday, acquired his second album The True Meaning after my shift as a busboy in a Manhattan restaurant, and even once ventured over to the now-defunct Fat Beats store in Greenwich Village to shake his hand at a promo appearance and get my copy of The Testament autographed. in stereotypes embedded in slaves by masters"
but we expect that from them/ we don't need it from you"
My favorite track is "Rap Basquiat" where Large Pro's uptempo, tapping piano key, boom-bap chops entice a mesmerizing flow from Mega who elucidates his approach ("Apparently rappers lack the intensity/ that you presently hear from me/ it's a unique ability/ to speak with sincerity/ I'm deep with lyrics/ giving the streets clarity") and the focused determination that brought him to such heights ("Dedication is a measure of strength and character"). Both Large Professor and Cormega are artists known for their consistency. Neither has been known to ever wander astray creatively and they've been doing this for decades now. The formula is a well-established one but few execute it to such a degree of perfection. Favorite Tracks: "Rap Basquiat", "More", "MARS", "Valuable Lessons", "A New Day Begins". It was looking like a great year for Bronze Nazareth in 2014. First came The Living Daylights, his collab with Willie the Kid that was one of the best albums of the year; then a Samsung commercial featuring his "Think Differently" instrumental recurred throughout the NBA playoffs; and in November he dropped his first solo project in over three years, Thought for Food Volume 3. Barely a month later, right before Christmas, his older brother and fellow Wisemen member Kevlaar 7 suddenly passed away. Any current discussion of Bronze's music will inevitably have that painful reality hovering over it. Bronze and Kevlaar, Justin and Kevin Cross, were as fearsome and talented a rap duo as anybody out there. And they were in the middle of recording an album together. Having lost his partner-in-rhyme, his best friend, his brother, I can't begin to fathom the pain Bronze must be feeling at this point and my heart goes out to him. As for Thought for Food Volume 3, any new project from Bronze Nazareth is cause for celebration, especially when it's a solo effort. The man has established a reputation for crafting fantastic full-length LPs (most recently The Living Daylights and Welcome to the Detroit Zoo), cohesive soundscapes of soulful beats, and he's a lock to leave a scattering of jagged darts over any track he raps on. The Thought for Food series has typically been a showcase for his lyrics hence the title; he's offering food-for-thought rhymes and wordplay in exchange for "food" or patronage. As he raps on "Meals Blend": "Cater thought-for-food, neighbor/ Digest my labor/ Sooner than later/ eating gator/ off ya amphitheater/ wolfing!" This third offering in the series is the finest one yet. While Thought for Food was originally conceived as essentially a mixtape (with Bronze rapping over many industry beats on Vol. 1 & 2), it's now evolved to sound more like an album. Most of the beats on Volume 3 are Bronze's own and there's hardly a skippable track. His flow has improved and the always intriguing lyrical style is as sharp as ever. He tends to get more attention for his beats but it's his style of writing that separates Bronze from the pack. Samuel Coleridge once wrote, "Every great and original writer, in proportion as he is great and original, must himself create the taste by which he is to be relished." Savoring the lyrics of Thought for Food is a unique experience. Bronze over the years has honed a truly original lyrical approach. 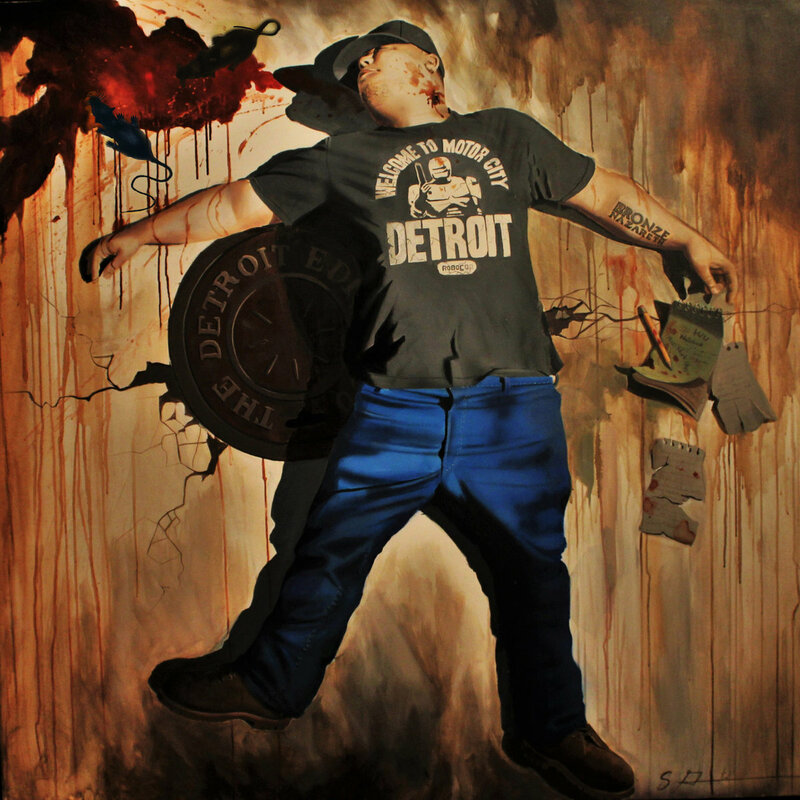 Each verse is built out of puns, slang, double and triple entendres, aphorisms, symbolic imagery and other forms of wordplay that give his work immense replayability. You can listen to it over and over again, even memorize every line, and still not catch all the subtleties involved. Often I find after dozens of listens I'll pick up a random single bar that's ridiculously clever like, from "Cinder Block Blues": "Plot my thoughts like a gravestone/ manor viewing." I picture him etching thoughts like an epitaph carving, or burrowing into depths for lyrical material, but there's still so much more to be pulled out of that one line. There are also verses that he delivers with a remarkable gusto and confidence yet their lyrical content is so abstract and esoteric that I'm completely baffled. It's these tracks, like "Malcolm X Manuscripts" and "Rusty Revolvers" that I tend to find the most intriguing. "The monolith prepared to wait beyond the common length," Bronze's lyrical creations are meant to be digested slowly over time. Favorite tracks: "JJ Evans" (featuring a phenomenal verse from Bronze: "I glow like the furnace/ the truth sojourning/ in my journal/ left a blueprint eternal"), "Malcolm X Manuscripts", "Plan A? Plan B", "Ninja Burners", "Smokin' Barrels", "Meals Blends", "Rusty Revolvers". The mix of intense anticipatory buildup and troubling internal discord that preceded this album seems to be fully manifested in the final product. On the one hand, Wu-Tang Clan released an official brand new album! It happened, and there are indeed some great moments. Yet there is also a clear sense of disunity and a distinct lack of enthusiasm detectable throughout. Most of our worst fears came true here, Rza really has lost touch of hip hop and the Clan really does sound like they've lost confidence in his leadership. I'm preparing a larger, more thorough review of what may be the last Wu-Tang Clan album we get to hear so I'll save my main points for that piece but suffice it to say: as a crew, they've still got it. They just need proper direction. And Rza just ain't that guy anymore. The best tracks on this album are the ones Rza didn't produce. Most of his beats are boring and overproduced. And he clearly butchered many tracks by adding in unnecessary, sometimes painfully bad R&B hooks. The members of the Clan have taken to calling it "Rza's album" and you can see why. All the negative criticism and complaining stems from our extremely high hopes. We expect so much out of these guys that when they swing and miss it's so easy for us to dissect exactly what they did wrong. 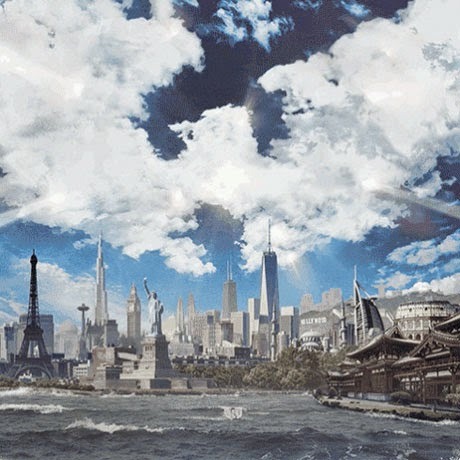 There's a great album somewhere within A Better Tomorrow, but unfortunately it's so thoroughly wrapped in tacky garbage that it's hard to fully appreciate. Favorite tracks: "Ruckus in B Minor", "Necklace", "Keep Watch", "Crushed Egos" and most of "Miracle". "Our first album sounded so beautiful because, even though I wasn't on "C.R.E.A.M." and Ghost wasn't on "C.R.E.A.M.," we was there when "C.R.E.A.M." was made. It's the capture of time and space; it's the capture of energy." PRhyme (DJ Premier & Royce da 5'9 apparently made a classic), 36 Seasons (I've seen mixed reviews and Ghostface has lost a step lyrically so didn't go out of my way to hear it), NehruvianDOOM by MF DOOM and Bishop Nehru (slept on it), The Infamous Mobb Deep (slept on it), Piñata by Madlib/Freddie Gibbs (was so focused on Rock Konducta that I slept on it), There is Only Now by Souls of Mischief (somehow didn't hear about it until recently), String Theory (catching up with this fresh release now), Carry on Tradition by A-Villa (so many big names on there, need to check it out). Somehow I also haven't watched the Illmatic 20-year-anniversary documentary yet. This I highly regret. A lot the titles from Madlib's album came from the names of German rock bands, album titles, and song titles. At least one song title is from a British rock album. He or whoever came up with the song titles mixed up the names. There may be one word from one album or band name along with a word from another band or album or song that is used as a song title. Most of the German bands are mentioned in Julian Cope's Krautrocksampler. You should be able to find a pdf.